What makes something we see or something we talk about a single thing, or simply a unit that we can identify and that we can distinguish from others and compare to them? For ordinary objects like trees, chairs, mountains, and lakes, the answer seems obvious. We regard something as an object if it has a form, that is, a shape, a structure, or at least boundaries, and it endures through time maintaining that form (more or less). An apple is what it is as long as maintains its form. Once it is cut into small pieces it is no longer an apple, but just ‘apple’. Some objects individuated by a form may be very temporary, for example waves and clouds. Apart from the question of the form that individuates objects, one can ask the weaker question of makes something a unit, given is presented to us, for example visually. Abstract art has addressed that question and optical art has played with our ways of perceiving something as a unit. 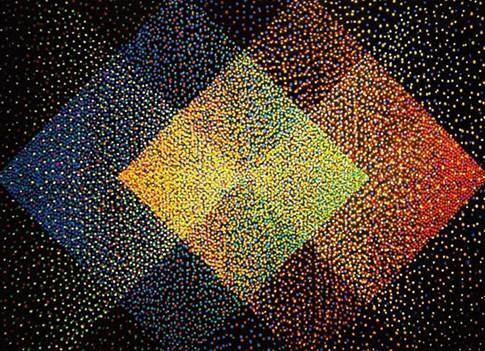 Let us look at the paintings from the series “Alchemie” by the Argeninian op artist Julio Le Parc. 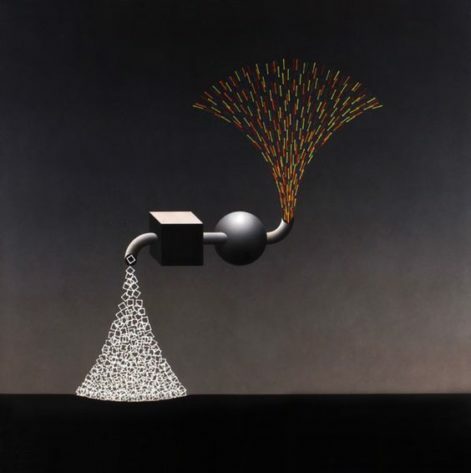 Paintings from Le Parc’s “Alchemie” series, copyright Atelier Julio Le Parc. Used with permission. Painting 1 clearly represents a single object, if unfamiliar, with a stable structure guaranteeing the objects endurance. In painting 2, we do not see an object that we would attribute an enduring structure to, but rather just something we may call a ‘unit’, something that has some form of integrity, in virtue of the closeness of dots and a boundary separating them from the dark background. In painting 3, again, we do not see objects, but various units. 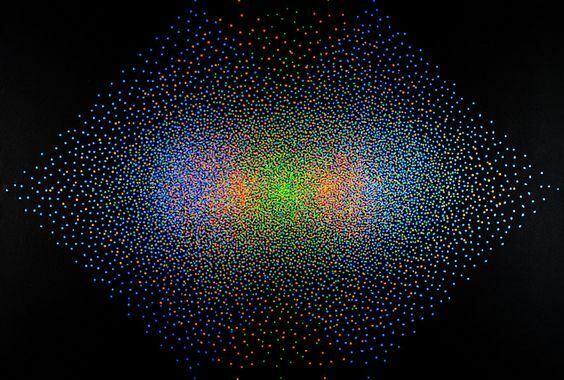 In fact, we can discriminate different units, depending on what we focus on, color or distribution of dots. What makes us see something as a unit? In the last two paintings, the units are all parts of the painting that are maximal with respect to some property shared by dots (color of dots, color of background), or a relation among them, such as being connected with respect to a minimal distance. Such conditions define something as an integrated whole. Conditions defining an entity as an integrated whole or as having ‘gestalt’ are not always easy to make explicit, but they drive our perception in the way we individuate objects and we discriminate units in what is presented to us. Conditions of integrity help us discriminate an object or a unit, something that endures with a particular form or something that just has a form without thereby even being an object. (1) a. ??? John compared the rice. b. John compared the white and the brown rice. (2) a. ??? John cannot distinguish the rice. (1b) means John compared the white rice to the brown rice, and (2b) means John cannot distinguish the rice in dish one from the rice in dish 2 and from the rice in dish 3 etc. It is not entirely impossible to get such readings also for (1a) and (2a), but these sentences also allow for other readings, depending on what sort of division of the rice into units is relevant in the context of the discourse. By contrast, when we use the predicate count instead of compare in (1a) (John counted the rice), a reading is entirely excluded on which contextually relevant portions are being counted. The sensitivity of predicates like to compare and distinguish to the contextual division of a portion means that such predicates do not apply to entities or portions as such, or to pluralities. Rather when they apply to something like a portion of rice, they apply to it as divided into units given the information given by the descriptive content of the construction that is used or else nonlinguistic contextually relevant information. What sorts of conditions are constitutive of the division of a portion into units? These are generally the same sorts of conditions as apply in the case of the painting: the units are maximal units of rice that share a contextually given property, such as the property of being white or the property of being brown in the case of (1b), and the property of being located in a particular dish in the case of (1b). (3) a. John compared / cannot distinguish the students. b. John compared / cannot distinguish the male student and the female students. c. John compared the students in the different classes. Compare applies to a plurality relative to a contextually given division into subpluralities, which is enforced by the use of a complex construction as in (3b) and (3c). Again pluralities are not single things, but they may count as units in the context. (4) a. The whole collection is expensive. b. John compared the individual students. 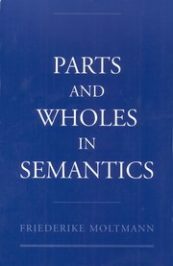 Whole in (4a) allows a distributive reading of expensive that would be impossible if only the count noun was used (the collection is expensive). Individual in (4b) prevents a reading on which proper subgroups are the object of comparison. In natural language, as in abstract art, we thus see the importance of conditions of unity without objecthood. These conditions may be crucial for the understanding of what is said in the utterance of sentences, as just as they are crucial for the understanding or appreciation of a painting. 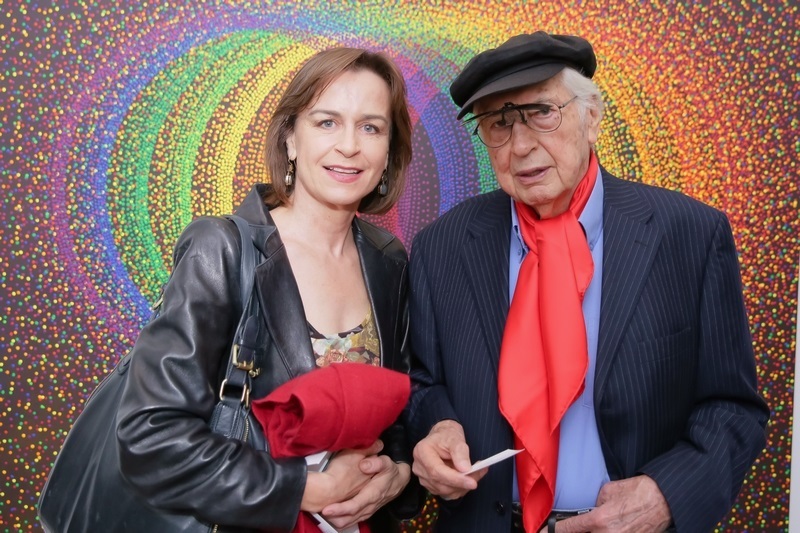 Friederike Moltmann, Julio Le Parc. Credit BFA.com. Featured image: painting by Atelier Julio Le Parc from the “Alchemie” series. Copyright Atelier Julio Le Parc. Used with permission. Friederike Moltmann is research director at the Centre National de la Recherche Scientifique (CNRS) in France. Her research is in philosophy and linguistic semantics and especially the interface between the two. She is author of Parts and Wholes in Semantics (OUP, 1997) and Abstract Objects and the Semantics of Natural Language (OUP 2013).